If you have any inquiries or you are unsure about anything, please contact us. 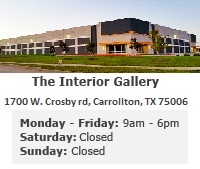 You can contact The Interior Gallery using the e-mail form below. We will reply to your inquiry within 24 hours.